An affiliate of Endurance Real Estate Group, LLC and CenterSquare Investment Management (“Endurance”) is pleased to announce the signing of a new 137,938 square foot lease at the 485 Distribution Center (“485DC”) in Shiremanstown, PA to a major national third party logistics provider (3PL). Lee & Associates of Eastern Pennsylvania represented both landlord and tenant in the transaction. 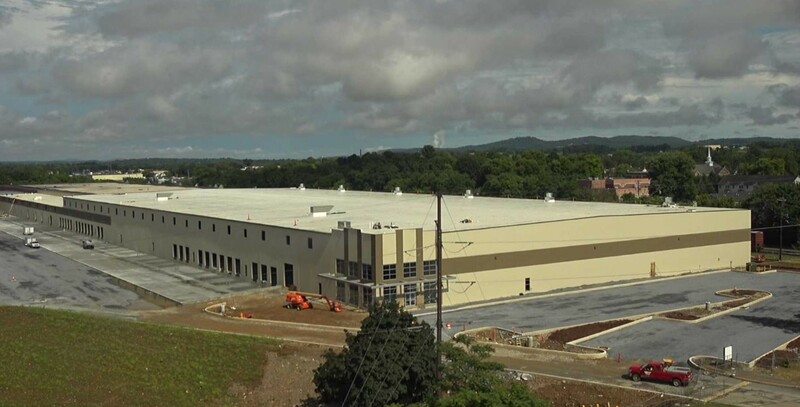 “This lease signed months before project completion, shows the strength of our project and the overall Central PA industrial market, particularly the Harrisburg West submarket. The new tenant is just one of many Fortune 500 companies who have located their manufacturing and distribution operations in the area. The attractive nature of this well-located, Class A product is desirable to many different types of tenants serving the Mid-Atlantic region and we look forward to strong continued leasing activity as we near completion of this re-development” said Albert J. Corr, Senior Vice President of Asset Management at Endurance. The completion of the renovation and construction of the ±457,000 SF project at the 485 Distribution Center will occur in late August 2018. The remaining space availability totals ±318,873 SF of contiguous square footage that is currently demised into two spaces of ±210,956 SF and ±107,917 SF, respectively. The entire facility will be equipped with an ESFR sprinkler system, high efficiency T-5 fluorescent lighting, a 188’ truck court, 60’ concrete dock apron, significant parking for cars and trailers, and an approximately 1 per 6,000 SF loading dock ratio at full build-out. CenterSquare Investment Management is a global investment manager focused on actively managed real estate and infrastructure strategies. As specialists in real assets, CenterSquare executes investment strategies designed to enhance the performance and resiliency of its clients’ investment portfolios. CenterSquare is owned by a partnership between its management team and private equity partner Lovell Minnick Partners, and is headquartered in Philadelphia with affiliate offices in Los Angeles, London and Singapore. As of June 30, 2018, CenterSquare manages over $10 billion in assets on behalf of some of the world’s most well-known institutional and private investors.